San Diego, CA, June 15, 2009 -- Two computer scientists at the University of California, San Diego’s Center for Networked Systems (CNS) are among 60 professors worldwide to receive awards as part of HP’s 2009 Innovation Research Program, which is designed to create opportunities for colleges, universities and research institutes around the world to conduct breakthrough collaborative research with HP. Amin Vahdat and Geoffrey Voelker, professors in UC San Diego’s Jacobs School of Engineering, were granted awards as part of this year’s competitive open call for proposals. 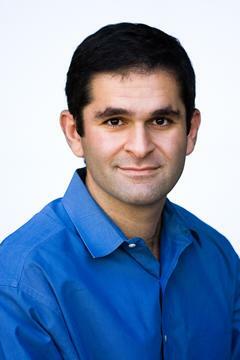 Computer science professor and CNS Director Amin Vahdat will collaborate with HP Labs on a research initiative focused on interconnecting commodity switches in a fat-tree architecture for clusters consisting of tens of thousands of nodes. Vahdat’s project, “A Scalable, Commodity Data Center Network Architecture,” won an HP Labs Innovation Research Award last year. The 2008 award allowed his group to build a hardware-software prototype of a 36-PC scalable data center switch architecture. The 2009 award will allow the researchers to shift the focus from prototype construction to building better scheduling algorithms for dynamically changing communication patterns in the data center. Vahdat and his graduate student also plan to complete specification, validation and implementation of a Location Discovery Protocol--so switches can automatically discover their location in a hierarchical, multi-rooted topology, based only on communication between pairs of locally connected switches and hosts. Geoff Voelker, who is a member of CNS and co-principal investigator on the National Science Foundation-funded Collaborative Center for Internet Epidemiology and Defenses (CCIED), will collaborate with HP Labs on a project titled “Understanding and Exploiting Economic Incentives in Internet-based Scams.” According to Voelker, the goal is to better understand the Internet’s ‘underground economy’ and ultimately disrupt its activities. Computer science professor Geoffrey Voelker's HP Labs project aims to provide a better understand of the Internet’s ‘underground economy’ and ultimately disrupt its activities. 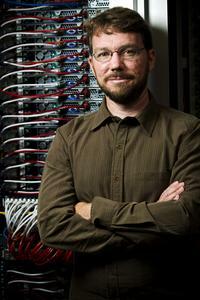 The UC San Diego recipients of the HP Labs Innovation Research Awards are affiliated with both CNS and the California Institute for Telecommunications and Information Technology (Calit2), and Voelker is a member of UCSD’s Center for Wireless Communications. HP itself is one of eight corporate members in CNS, and is also an industry partner of Calit2. HP reviewed nearly 300 proposals from more than 140 universities in 29 countries on a range of topics within the eight high-impact research themes at HP Labs--analytics, cloud, content transformation, digital commercial print, immersive interaction, information management, intelligent infrastructure and sustainability. Story written by Doug Ramsey of Calit2.